Lisa Shaub Fine Millinery has been making fine hand made hats for over twenty four years with fifteen years in retail. She has been recognized to be included both by New York Magazine for their “1300 Best Stores of New York City” issue for over nine years, Time Out's "Best Hat Shops", as well as included in the prestigious Zagat guide. She has been featured in Vogue, Elle, W, WWD, Time Out New York, and The New York Times, among others. Her celebrity clients include Taylor Swift, Jessica Biel, Brittney Spears, Brooke Shields, Aaron Neville, Clare Danes and Audrey Tautou. 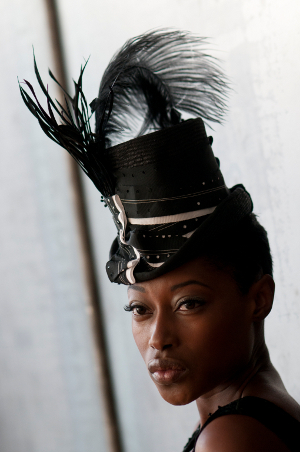 Lisa Shaub Fine Millinery is known for excellent quality, unusual design and comfort. We specialize in custom work, bridal, and handmade millinery with original details such as hand crafted flowers, and intricate beading. All our work is made here in the New York City area. Our focus is on creating for our wide range of customers and solving their specific problems, whether it is to design the perfect winter hat that folds up in your pocket,or to construct a breathtaking fascinator from rare, vintage materials that will take your breath away. Our goal is for our customers to stand out in a crowd, and to feel amazing.